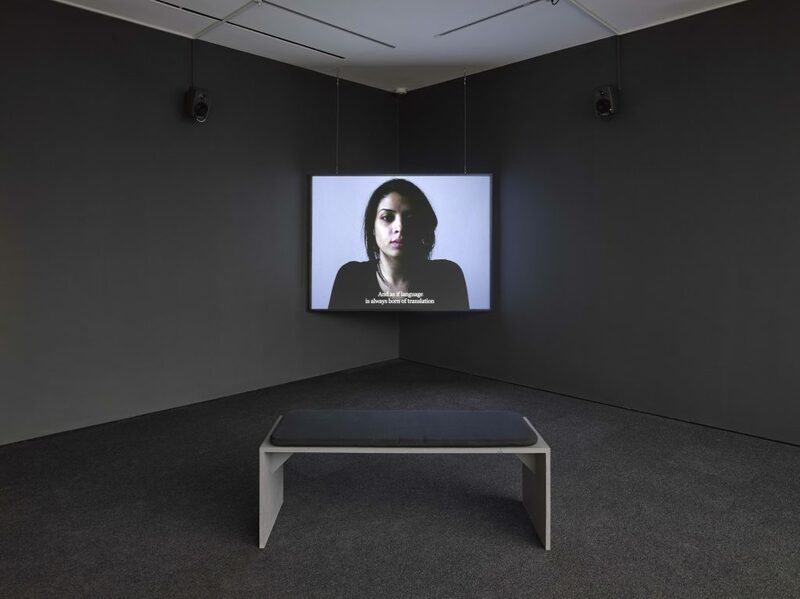 Lisson Gallery presents the first major solo exhibition in the United Kingdom by Moroccan-French artist Bouchra Khalili. Based between Berlin, Oslo and Paris, Khalili’s work explores the broad topics of migration and displacement through the mediums of film, video, installation, photography and prints. 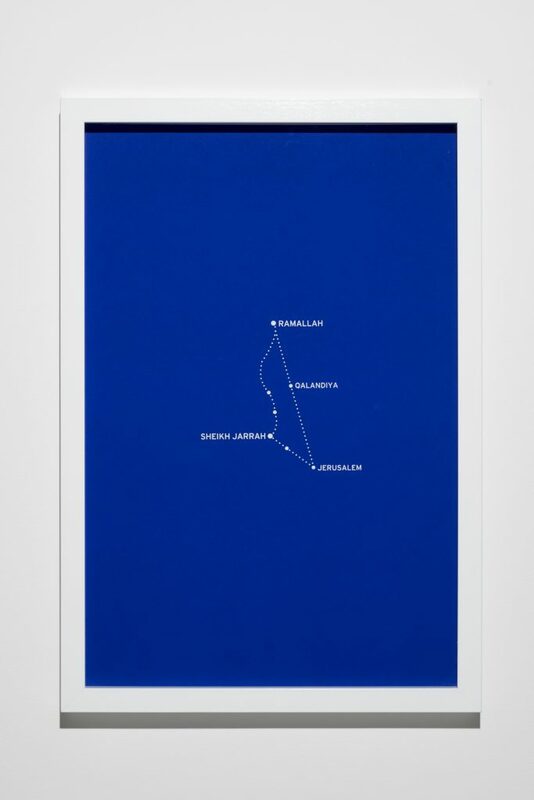 Largely inspired by the idea of journeys, both literally and conceptually, Khalili’s exhibition at Lisson Gallery lays bare the socially constructed nature of borders and challenges our fixed ideas of identity and nationhood. 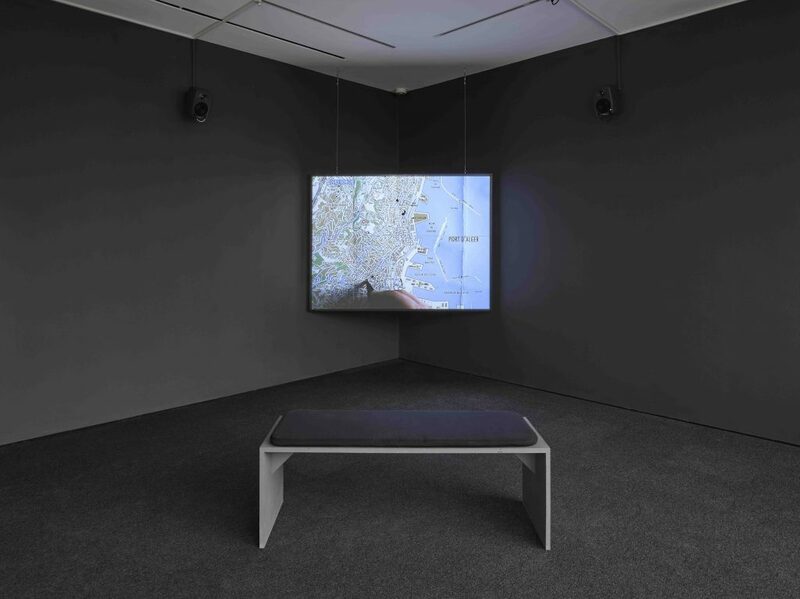 Nowhere do the concepts of movement, identity and borders align more poignantly than in Khalili’s multi-channel video installation The Mapping Journey Project (2008–11). Aiming to draw an alternative practice of map-making, the work consists of eight films that focus the audience’s gaze on the tortuous and complex journeys taken by individuals forced to cross borders illegally. These journeys are literally traced onto a large map seen on screen, while the narrators recount the journey factually, vividly filling in the experiential details of their quests. In an essay for MoMA, New York, where the work was recently exhibited, Quinn Latimer notes that “the dark, pen-inked lines of [the migrants’] trajectories create strange and distinct constellations, fluid forms of statelessness that are posited against and over the more familiar coloured shapes and lines they cross – that patchwork of nation-states (colonial and other) that we have all learned to recognise like some international language of signs of the hegemonic world order”. 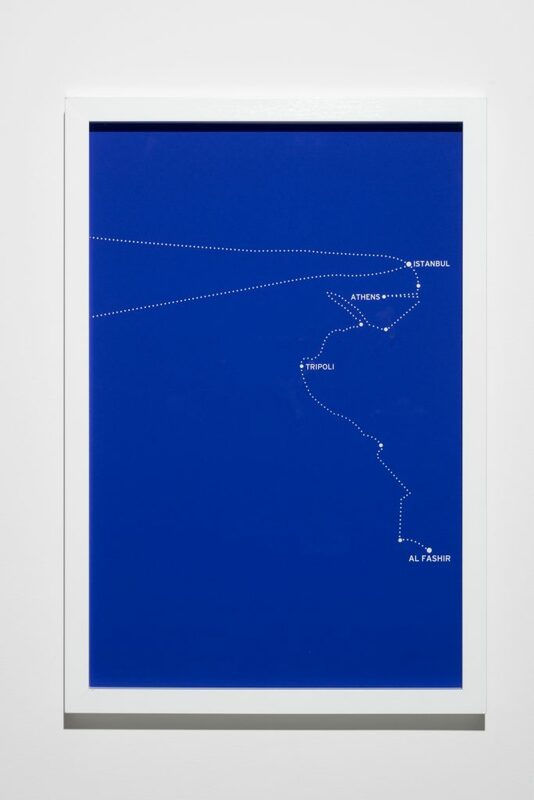 The abstract traces created in The Mapping Journey Project are realised further in Khalili’s The Constellation Series (2011). 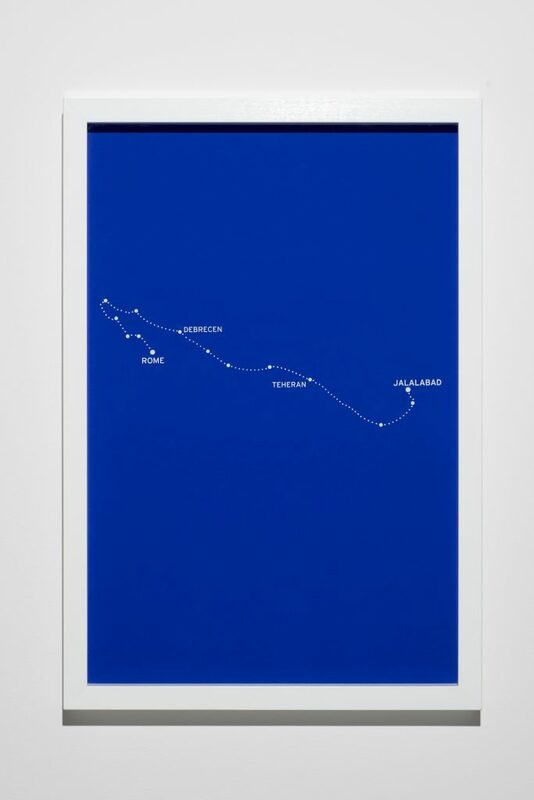 Composed of eight silkscreen prints, each of the Constellations translates the voyages recounted in the films into the form of star constellations similar to those that have been used in astronomy for centuries. Stripped of their borders and resisting containment, these journeys become fluid records of travels through space and time. The final work in the exhibition, Foreign Office (2015), examines ideas of internationalism and solidarity. It is made up of a film, a series of photographs and a print. The work focuses on the city of Algiers and its position as an active site of revolution and anti-colonial movements between 1962-1972, with groups including the African National Congress (ANC) and Black Panthers having headquarters there during this period. 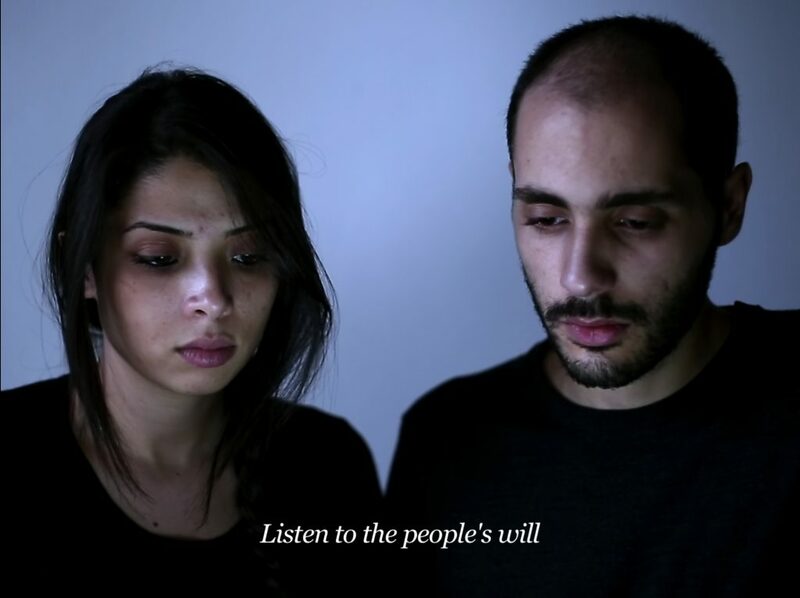 Produced with the support of the Sam Art Prize, the film shows two young Algerians ‘re-writing’ history through images, language and oral narratives, while the accompanying series of photographs document the ghostly places that were home to these political movements, at once echoing the disappearance of utopia and its persistence to haunt the present-time. Bouchra Khalili, Foreign Office, 2015 (still). Mixed media installation composed of 1 digital film, 15 photographs, a silkscreen print. Dimensions variable © Bouchra Khalili courtesy Lisson Gallery. 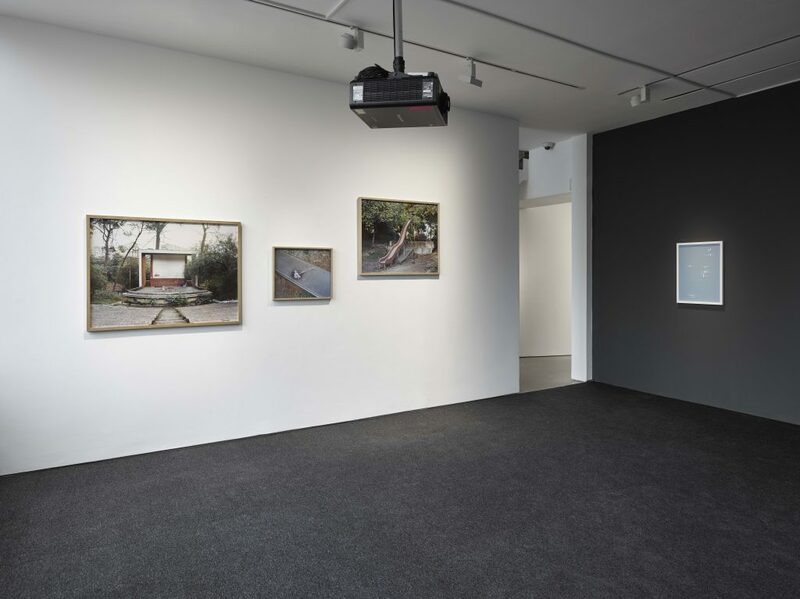 Bouchra Khalili, Installation view, Lisson Gallery London, January 2017. Photo by Jack Hems. © Bouchra Khalili; Courtesy Lisson Gallery.